If you want to ensure the best care for your hardwood and laminate floors, we encourage you to choose our outstanding floor sanding that is currently provided in London. 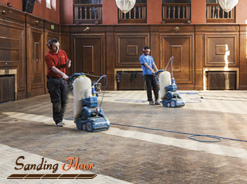 We have a lot of experience in providing flooring services and for that reason our staff is well familiar with the organization of the floor sanding. 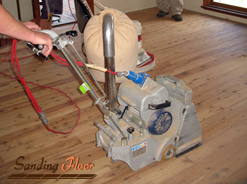 You can book our floor sanding 7 days per week – we will immediately send our trustworthy team of floor fitters. Do not hesitate to contact us whenever you want to refresh the look of your wood floors. Take a look at our exclusive offers for floor sanding – we guarantee that you will be pleased with our work because we always strive to provide perfection in every aspect. We promise to be very careful when we apply the procedures and to restore the nice look of your floors in the fastest possible way. We will prepare the floors for the working process by removing the staples and the tacks, used for the old coverings. After that we will begin with the real sanding, by using our modern edgers and sanding machines. As a final procedure, our floor fitters will provide coating with oils or with other sealants. Our floor fitters are instructed in the best possible way how to manage with the organization of the floor sanding and they will meet the deadlines, set by the customers. We will ideally restore the impeccable look of your wood floors, so feel free to contact our comprehensive staff both during the week and at the weekends. Choose our immaculate floor sanding and leave everything into the hands of our committed staff. We guarantee that we won't disappoint you because we are trained to manage with the tasks, required by the customers. 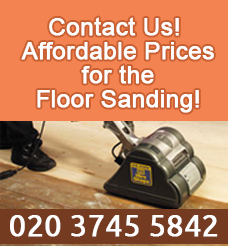 Find us in London and discuss the details of the floor sanding with our polite floor fitters. We are available 7 days per week to respond to your calls, so do not hesitate to use the customer support centres. Copyright © 2019 Sanding Floor. All Rights Reserved.